Natalie’s singing career didn’t begin until the age of 34, when she realised her love for writing was more than just words on a page, it was her way of feeding her emotion and an escape from the daily routine. 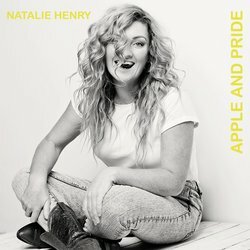 The first single and title track from the debut album, Apple & Pride, is one of those super personal songs that you have to write but hesitate to share. It's vulnerable but powerful and sits perfectly alongside the last single. Gina Timms - Do You Like What You See?